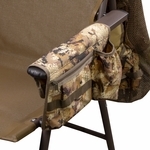 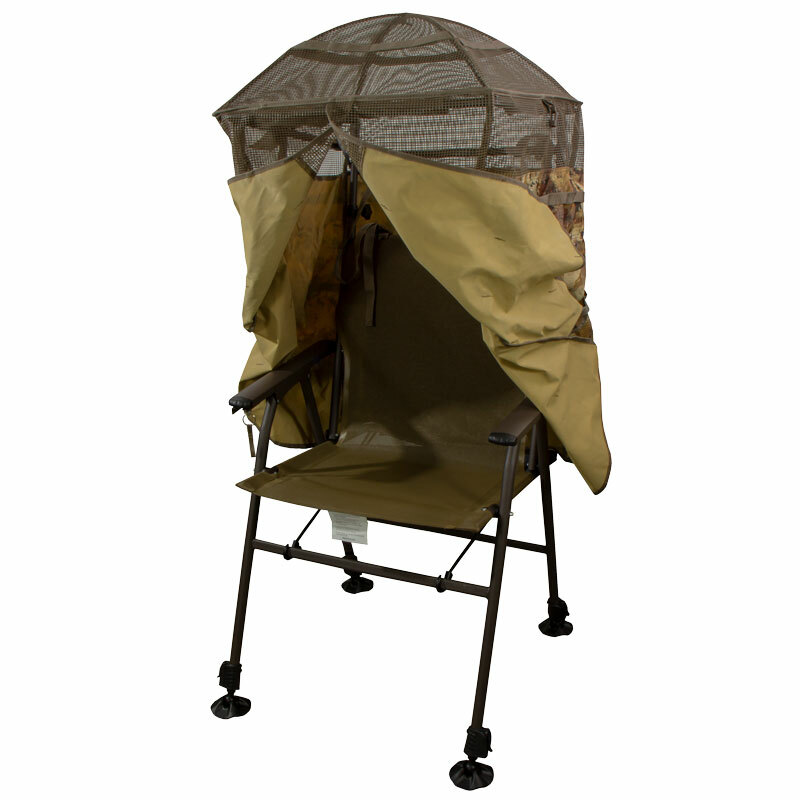 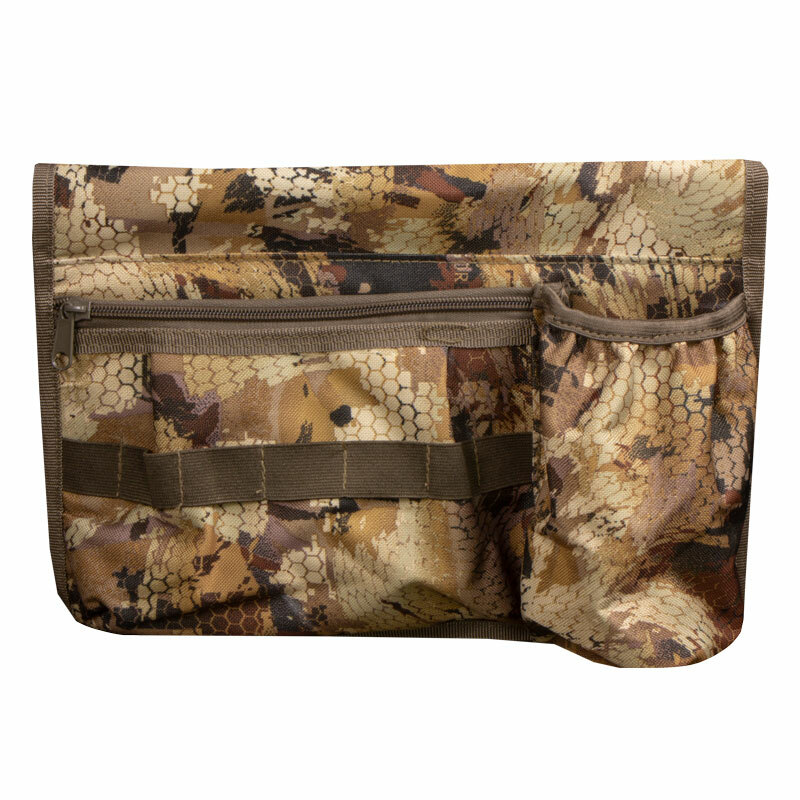 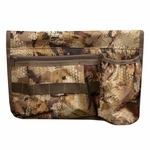 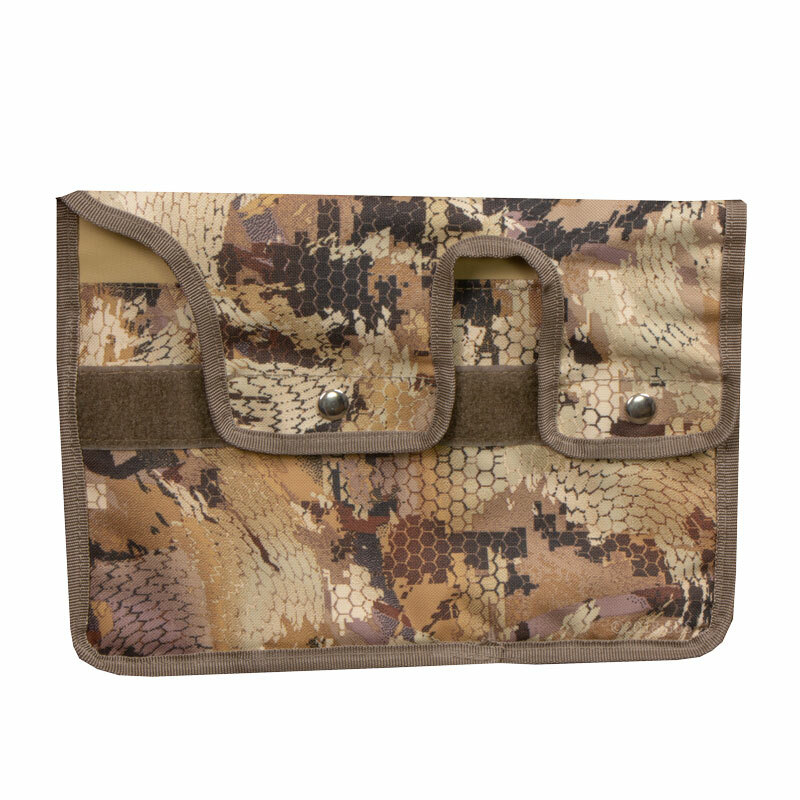 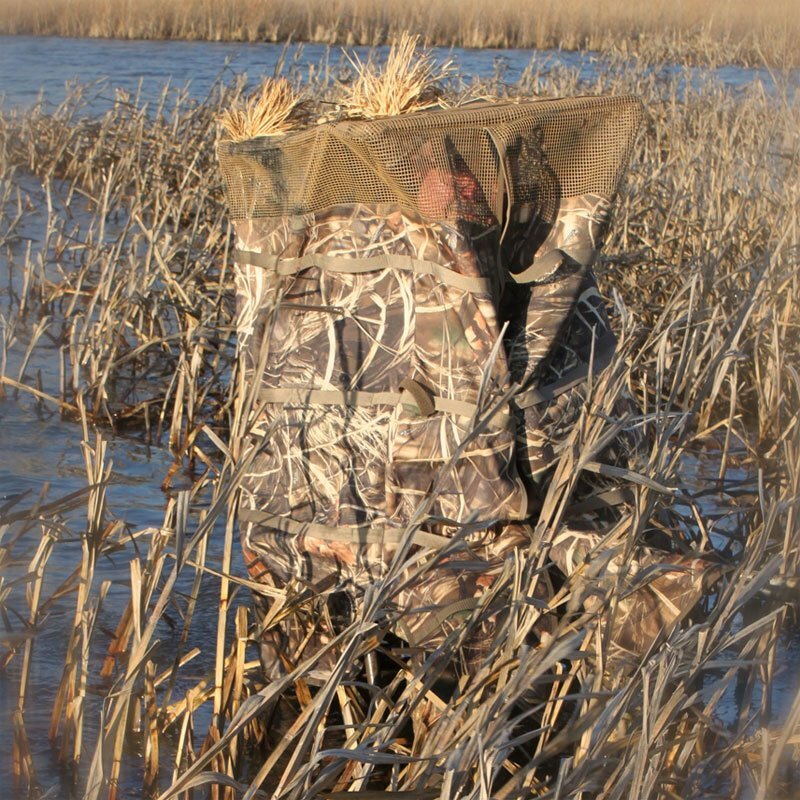 Designed for hunting vertical cover like flooded corn, cattails, tules, fence lines, and more. 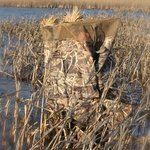 A revolutionary shallow water blind, the Invisichair is designed for hunting vertical cover, like flooded corn, cattails, tules, fence lines, woody cover, levees and bullrush. 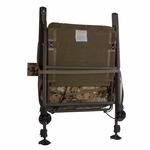 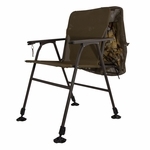 It is lightweight and portable and allows you to be on the "X." Whether it is a fence row in a dry field, a flooded corn field, or anything in between, the adjustable legs will keep you high, dry and comfortable. 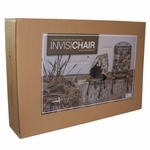 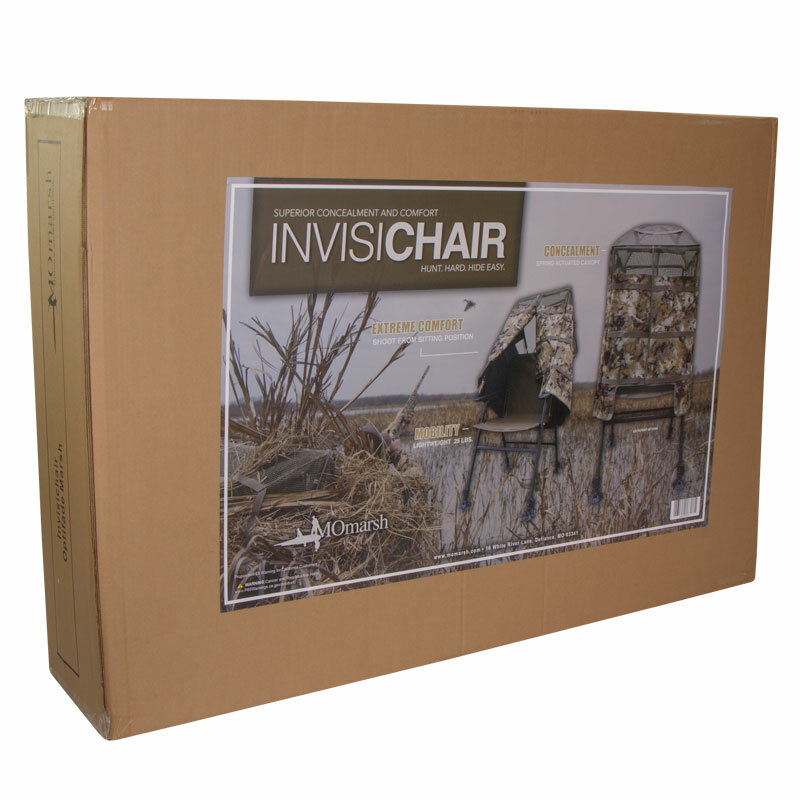 It has a very small footprint from above and provides concealment in many situations where sitting on a bucket or swamp seat would fail. 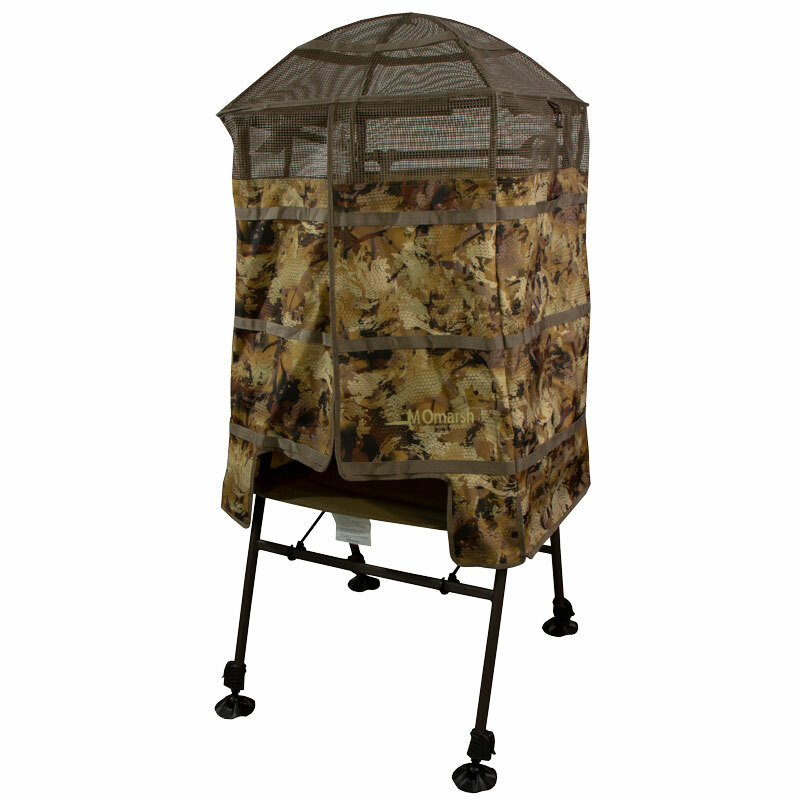 Most importantly, the mesh top allows you to keep track of birds so that you know what call to make and when to get ready to shoot. 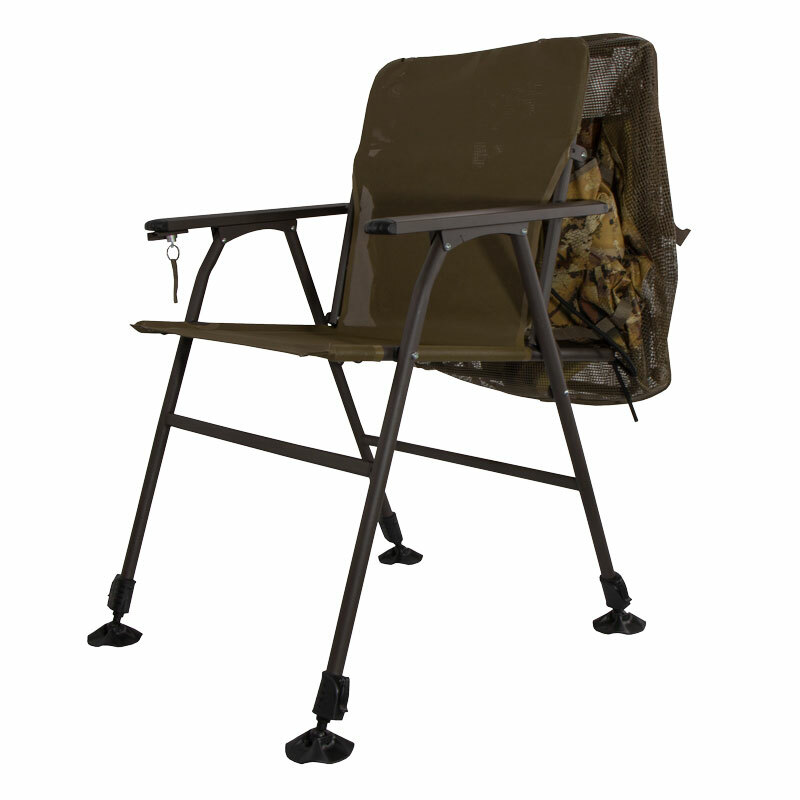 At the moment of truth, simply release the kick out bar on the arm rest to allow the top to spring open for an unobstructed shot which can be taken from a seated or standing position. Adjustable for water depths to 34"